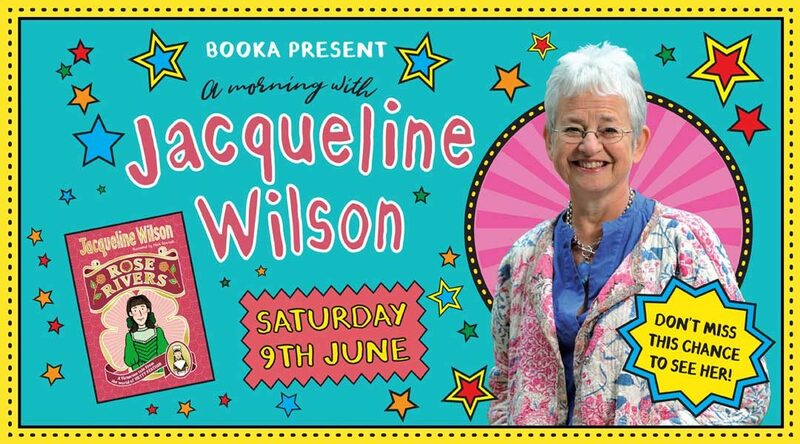 Join us for a morning with bestselling children’s author, Jacqueline Wilson, as she talks about her writing career, her best loved characters and her new book, Rose Rivers. Former Children’s Laureate, Dame Jacqueline Wilson has written over 100 books and has created some of the most loveable and memorable characters in modern children’s literature, including Tracy Beaker and Hetty Feather. Beautifully illustrated by Nick Sharatt, Rose Rivers is a wonderful new story starring old friends and new from the much-beloved Victorian world of Hetty Feather. Every book by Jacqueline Wilson is very special. So is this event… We’re thrilled to be bringing Jaqueline to Oswestry – don’t miss this unique opportunity to see her! Please note – there will be no book signing after this event but printed bookplates with Jacqueline’s signature will be included with every book. There will be plenty of time for children to ask questions. Copies of some of Jacqueline’s other books will be available to purchase on the day. Tickets: £15 with book (Includes a copy of Rose Rivers) & £7 Accompanying Adult/Additional Child (£3 redeemable against book purchase. Tickets available from the bookshop, or purchase online (with booking fee).